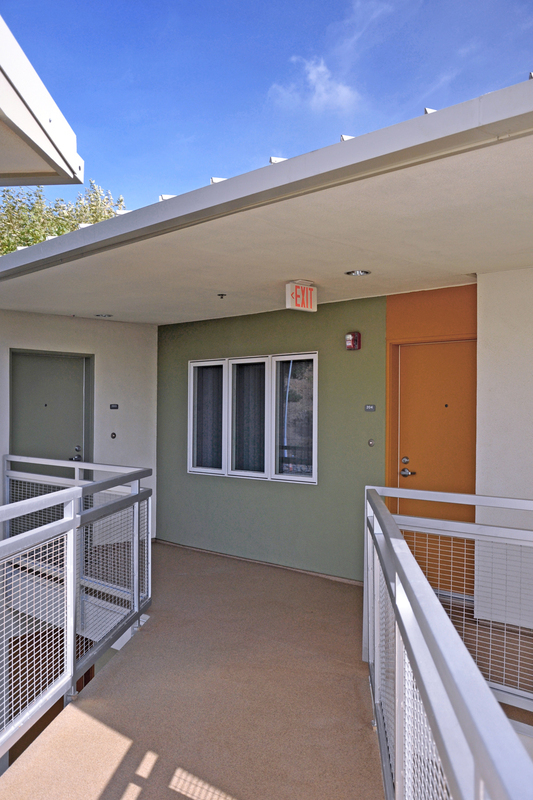 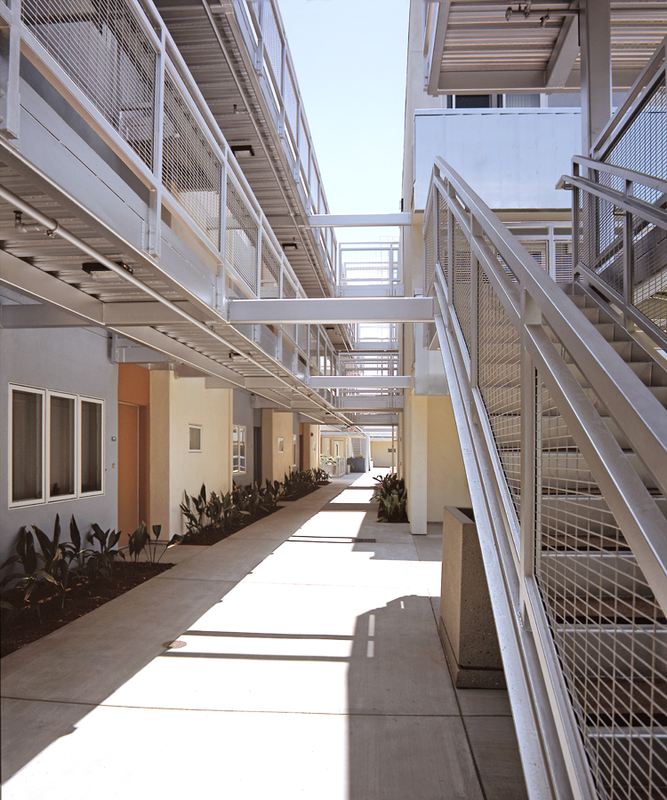 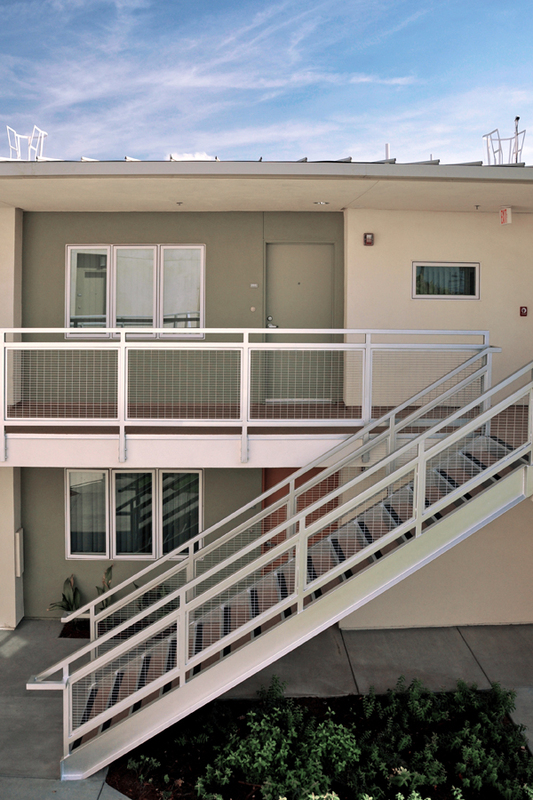 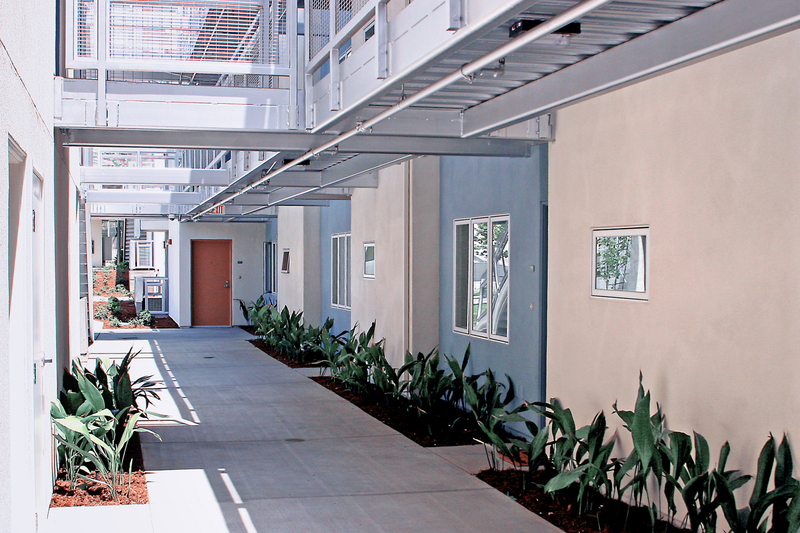 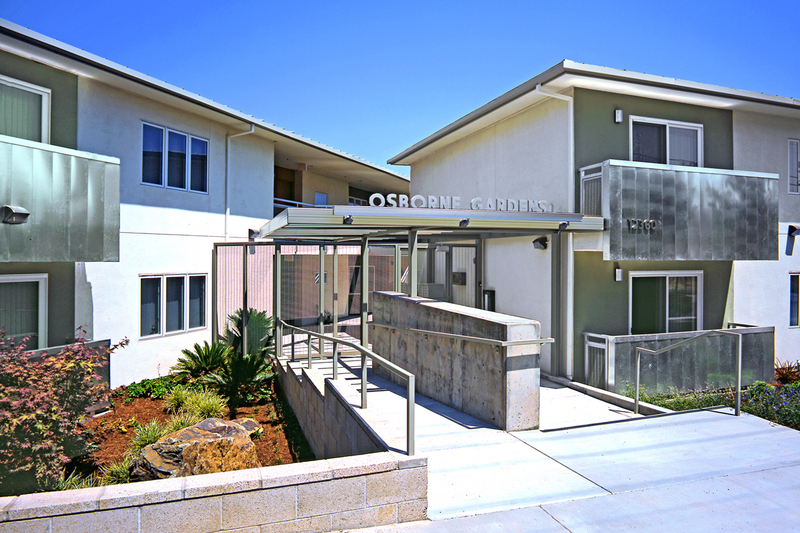 Osborne Gardens, a fifty-two unit affordable family housing development, is comprised of three distinct buildings that are linked by a variety of open spaces ideal for community living and resident interaction. 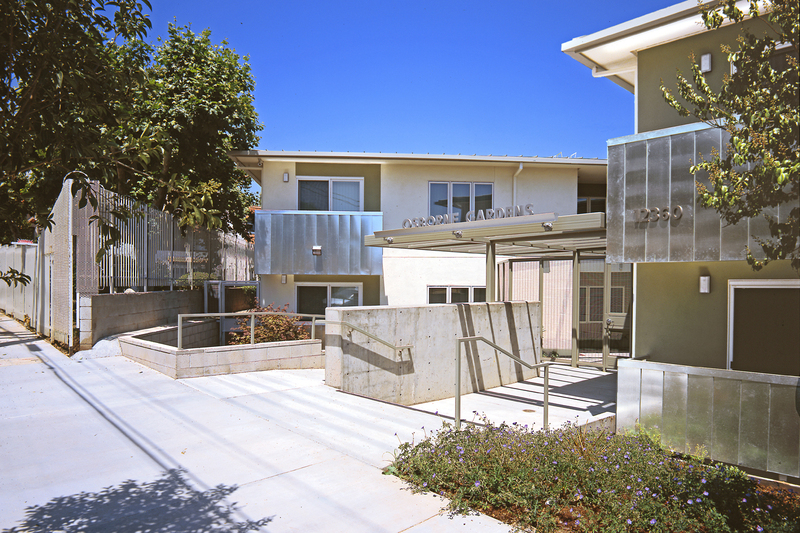 A centrally located community building, which includes a learning center, opens directly to a gently-sloped and landscaped open space. 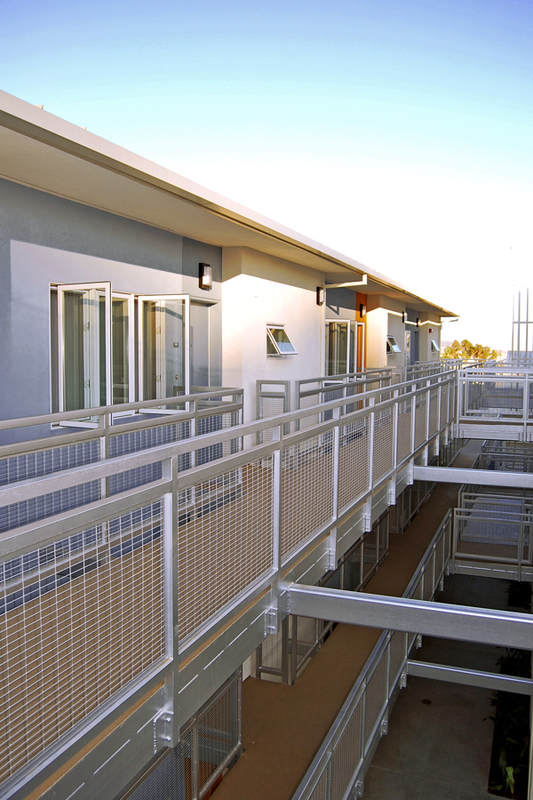 Sustainable features include natural cross ventilation, metal “cool” roofing, building materials with recycled content, on-site roof water filtration, low VOC paints and floor finishes and native planting throughout.